Come by the store on Saturday, June 11 to meet debut author Clifford Jackman. 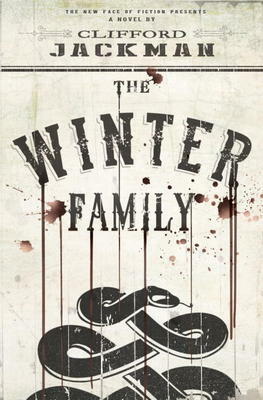 He will be here from 1:00pm to 3:00pm signing copies of his new book The Winter Family. “After [the Winter Family’s] actions during the Civil War lead to a court martial, the group of hardened Union soldiers recasts themselves as outlaws, finding that the disorder of Reconstruction allows for a sort of savage freedom. From service as political thugs in a brutal Chicago election to their work as bounty hunters in the deserts of Arizona, there’s a hypnotic logic to [their leader’s] grim borderland morality that pulls the group into a whirlpool of unrestrained violence. We look forward to seeing you all on Saturday!